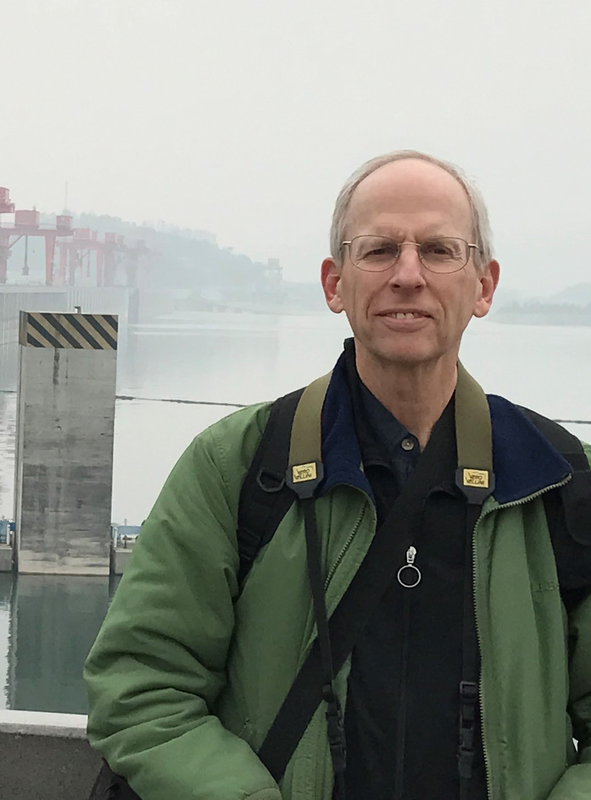 Biography: Dan Van Abs is an Associate Professor of Practice for Water, Society & Environment at Rutgers University, School of Environmental and Biological Sciences, Department of Human Ecology, where he has worked since 2012. He holds a B.S. in Environmental Studies from Rutgers University, Cook College, and a Ph.D. in Environmental Science from SUNY-College of Environmental Science and Forestry in association with Syracuse University. He is a licensed Professional Planner in New Jersey, and a member of the American Institute of Certified Planners. He has served as a gubernatorial appointee to the New Jersey Clean Water Council since 2005 and was Chair in 2014-2015. He serves on the Boards of Trustees for the Stony Brook-Millstone Watershed Association and the Passaic River Coalition. Dr. Van Abs was Senior Director for Planning & Science with the Highlands Water Protection and Planning Council (NJ) from 2007 to 2012. He managed Council staff efforts regarding development and implementation of the Highlands Regional Master Plan. Prior to joining the Council, he served as Director of Watershed Protection Programs for the New Jersey Water Supply Authority for more than eight years, creating and managing an extensive source water protection program for the Raritan and Manasquan River watersheds. He previously worked with the NJDEP for over 12 years, with six of those in coastal planning and ground water planning. For six years, he was Assistant Administrator of the Office of Environmental Planning, with responsibilities for statewide water resources planning along with administrative management. During that time he was responsible for the NJ Ground Water Quality Standards, the NJ Well Head Protection Program Plan, and the NJ Statewide Water Supply Plan. Dr. Van Abs was Technical Director of the Passaic River Coalition, a non-profit watershed association, for four years prior to joining NJDEP. He has published many peer reviewed and conference papers in the watershed management field, and is co-editor with Karen O’Neill of a new Rutgers University Press book (June 2016) Taking Chances: The Coast After Sandy. In 2004, he was a featured interview in the New Jersey Network’s documentary The Highlands Rediscovered. He received the 2010 Peter Homack Award from the NJ Chapter of the American Water Resources Association for his achievements in water resources management. Dr. Van Abs is a frequent public speaker and commentator in news media on water resources and water infrastructure issues. I am working with the New Jersey Future on the second phase of a project to enhance the management of combined sewers and other water infrastructure in New Jersey municipalities. This project extends through June 2014. Daniel J. Van Abs, Oliver Stringham, Yuling Gao and Tim Evans. 2014. Effects of Land Development on Water Resources of the Pinelands Region. Prepared for New Jersey Future. Rutgers-The State University of New Jersey. New Brunswick, NJ. Daniel J. Van Abs, Alexander McClean, Ioanna Tsoulou, Yuling Gao and Tim Evans. 2014. Water Infrastructure in New Jersey’s CSO Cities: Elevating the Importance of Upgrading New Jersey’s Urban Water Systems. A report for New Jersey Future. Rutgers-The State University of New Jersey. New Brunswick, NJ. Daniel J. Van Abs. Water Resources Baseline Assessment Report. 2013. Prepared in Support of the Regional Plan for Sustainable Development. New Jersey Future. Trenton, NJ. Daniel J. Van Abs. Chapter 5: Water Supply Resources, in The Highlands: Treasured Landscapes, Critical Resources. 2011. Richard Lathrop, Jr., editor. Rutgers University Press. Highlands Regional Master Plan. 2008. Co-author of the Regional Master Plan, Policy Guidance Documents and Technical Reports. New Jersey Highlands Council, Chester, NJ. Daniel J. Van Abs, Yongzhen Zhang. Preservation of Critical Areas in the Manasquan River Watershed. 2005. NJ Water Supply Authority, Clinton, NJ. Daniel J. Van Abs, et al. Raritan Basin Watershed Management Plan. 2003. NJ Water Supply Authority, Clinton, NJ. Daniel J. Van Abs, et al. Water for The 21st Century: The Vital Resource: New Jersey Statewide Water Supply Plan. 1996. New Jersey Department of Environmental Protection. Daniel J. Van Abs. Well Head Protection Program Plan. 1991. New Jersey Department of Environmental Protection. William W. Whipple III and Daniel J. Van Abs. "Principles of a Ground Water Strategy." 1990. Journal of Water Resources Management & Planning, Vol. 116, No.4, July/August. ASCE. Daniel J. Van Abs. Buried Valley Aquifer Systems: Resources and Contamination. 1986. Passaic River Coalition, Basking Ridge, NJ. Daniel J. Van Abs. Regional Environmental Management in the Pinelands National Reserve. 1985. Doctoral dissertation. SUNY-ESF, Syracuse, NY. Daniel J. Van Abs. Passaic River Restoration Master Plan for East Rutherford and Wallington. 1984. Passaic River Coalition, Basking Ridge, NJ.